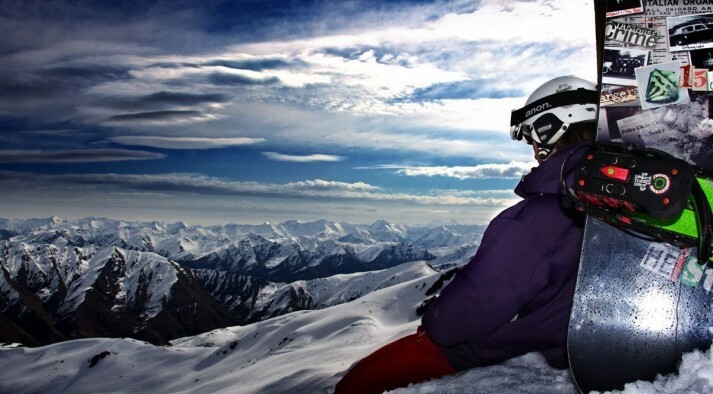 Coronet Peak is the closest mountain to Queenstown and is accessed by a sealed road all the way to the lifts! 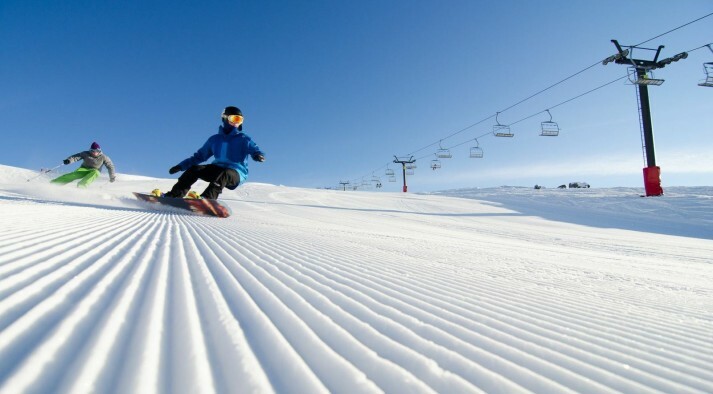 The mountain could be best described as wide and rolling with their main trails being groomed to perfection and boosted with regular snowmaking. With a skiable area of 280 hectares accessed by 3 chairlifts, 1 T-bar, and beginners tows, any level of rider can have fun here. 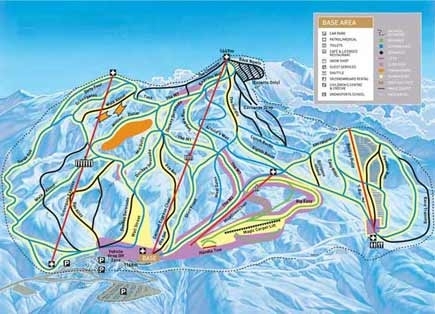 The Meadows chairlift gives beginners their own area separated from the main runs. Intermediates have most of the mountain to explore and will enjoy the terrain off the Coronet Express chair and Rocky Gully T-bar. Advanced riders can head out wide from the Greengates chair or check out the Back Bowls. 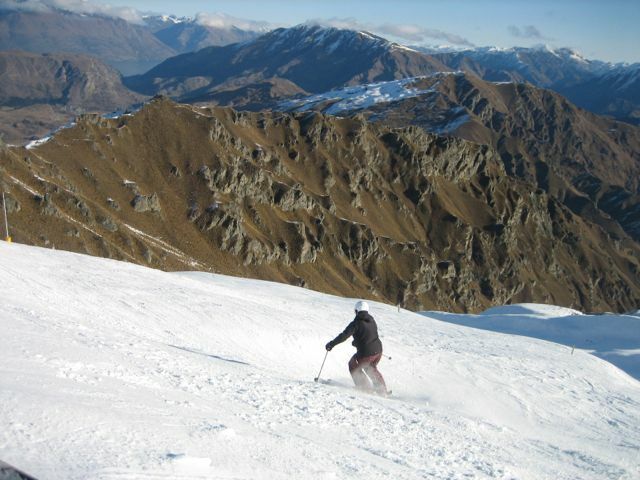 Coronet Peak has a vertical drop of 420 metres, night-skiing on weekends, and the M1 is their longest run at 1.8 kilometres.